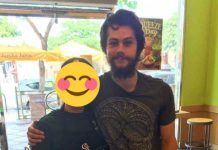 Dylan O’Brien seen in public for the first time since ‘Maze Runner’ accident! Dylan O'Brien has been seen in public for the first time since his awful 'Maze Runner' accident that happened on set. Maze Runner: The Death Cure has been delayed indefinitely! The production of The Maze Runner: The Death Cure has been delayed indefinitely following Dylan O'Brien's injuries.